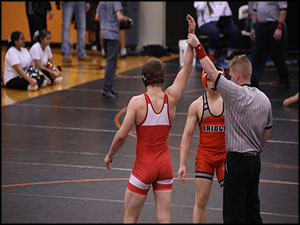 The Rose Hill Wrestling Team competed in the Andover Trojan Invitational on Saturday. They brought a total of 11 wrestlers and finished 9th on the day. David Leck and Grant Scheer went undefeated on the day finishing in 1st place. Leck also reached his 30th win this season while still having no losses. Kyle Sackett placed 2nd, as he had to forfeit his finals match due to a neck injury. Sackett will hopefully be back in action later in the week. The team has a big week in front of them, as they will be hosting and competing in their first two-day tournament. The Rose Hill Invitational is one of the hardest tournaments in the state. There will be 22 teams and several ranked wrestlers in each weight class. The action will begin on Friday at 11:00 am. This past weekend was the girl’s basketball tournament week. The Lady Rockets joined several other teams in Haven to compete against high level teams for first. 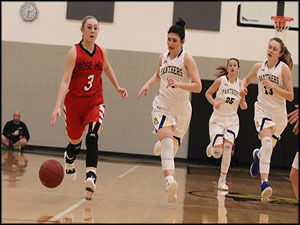 Thursday was the first game of the tournament, and the ladies started off with a good start securing a win against Garden Plain. However, rolling into Friday’s semifinal match against Cheney the Lady Rockets struggled to hang with them. The Lady Rockets battled but were only able to outscore the Lady Cardinals in the fourth quarter. At the final buzzer the girls found themselves down 41 to Cheney’s 49. Going into Saturday’s game the girls had the chance to compete for 3rd place in the tournament. The Lady Rockets would face off against Nickerson. Both teams battled throughout the game, the lead was never stagnant. The Rockets lost the first quarter only to win the second by enough to give themselves a lead going into halftime. After the half the Rockets continued to win giving themselves a greater lead after winning the 3rd quarter. Despite the Rockets best efforts, Nickerson had a very successful quarter scoring enough to come back and top the Rockets 53-47. The girls took fourth as a team but individually the Rockets saw great success. Seniors Emily Adler and Drew Glennemeier both made the All-Tournament Team. On Tuesday the Rockets will travel to Augusta to take on the Orioles. 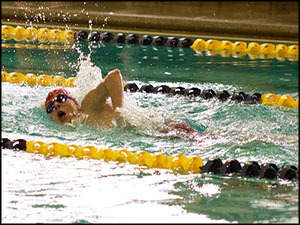 The Boys swimming team traveled to Wichita Northwest High School on Saturday to compete against 20 other teams which were nearly all 5A and 6A teams. Leading the Rockets was Hayden Kalp with a 16th place finish and a time of 56.72 in the 100m Freestyle. The 200m medley, consisting of Hayden Kalp, Drew Leck, Tim Hoopes, and Adam Herndon, took 16th with a time of 2:07.82. Despite the team scores, the meet was a success for the Rockets as they competed against larger schools and tough competition. Their next meet will be at Salina South on Wednesday, January 30th.